At first glance, these two dual-extrusion 3D printers by QIDI look nearly identical. In fact, with similar specs and similar builds, it can be difficult to tell these two 3D printers apart. Today’s QIDI X-PRO vs QIDI TECH I comparison uncovers the differences that make these printers unique so that you can make an informed buying decision. Both these printers have very similar specs, so we won’t waste much time on the basics. The QIDI X-PRO features a 9”Lx5.9”Dx5.9”H build area atop a heated aluminum print bed. The bed is topped with a removable, magnetic build plate for easy removal of finished models. Print speeds max out around 100mm/s, but expect to print at or below 50mm/s. The QIDI X-PRO’s dual extruders use 0.4mm nozzles to print at resolutions between 100-500 microns. Print with either PLA, ABS, flexible TPU, or support filaments like PVA. Ultimately, the X-PRO maxes out around 240C, so rule out any high-temp filaments. Finally, you may connect to the QIDI X-PRO via USB, WiFi, SD card, or even Ethernet. Read our full QIDI X-PRO review here. 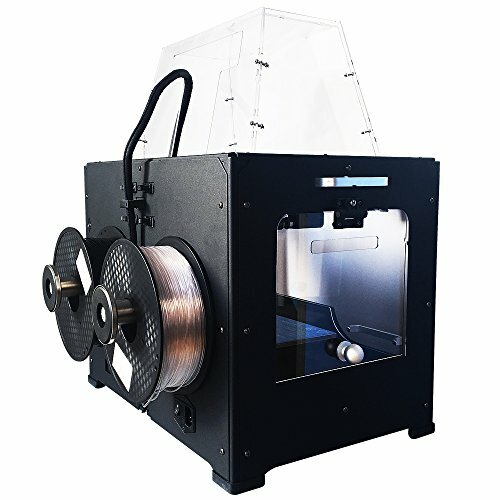 The QIDI TECH I is also a dual-extrusion 3D printer that uses 0.4mm nozzles to print in ABS, PLA, and other low-temp or flexible filaments. The QIDI TECH I also prints in ABS, PLA, TPU, and other low-temp filaments up to 240C. Both printers share the same relatively disappointing 9”Lx5.9”Dx5.9”H build volume. Resolutions are also the same, with the QIDI TECH I offering 100-500 micron accuracy. The QIDI TECH I’s print speeds are a little faster, though, maxing out at 150mm/s with average speeds around 50mm/s. Connectivity is major difference between the QIDI TECH I and QIDI X-PRO. While the X-PRO allows you to use just about any method you like, the TECH I limits you to an SD Card or tethered USB. See our QIDI TECH I review here. It’s worth noting that because both of these printers use many of the same parts, you tend to get similar results, too. Just a few similarities include having the same quad-fan aluminum dual-extruder setups, same aluminum print beds, same power sources, heating elements and motherboards… you get the idea. That’s not a bad thing, either. Both these printers punch above their weight classes when it comes to excellent, accurate prints. Much of that precision is due to these printers using robust metal frames and enclosed build spaces which can be modified to suit your needs. The clear side panels on both the QIDI TECH I and QIDI X-PRO are removable. Of course, the magnetic acrylic doors on the fronts of the machines open at your discretion. Both printers are also quite large and due to their metal frames, weighing about 40lbs each. These heavy, enclosed frames give you the warm, sturdy environment your prints need. Through the years, the QIDI TECH I hasn’t changed much. With the new X-PRO, QIDI took the chance to upgrade many of the TECH I’s features to be more user friendly. To start, the X-PRO uses a magnetic, removable and flexible build plate that makes removing your models a breeze. Whether using PLA or ABS, models stick very well to this plate without the need for glue or tape. When you’re done, just take out the plate and peel off your model – it’s that simple. Another of the X-PRO’s great features is the 4.25” touchscreen, replacing the TECH I’s button-operated UI. The X-PRO’s UI is smoother, more intuitive, and a joy to use by comparison. Additionally, the X-PRO gives users a ton of options when it comes time to connect. Choose from WiFi, Ethernet, USB stick, or SD card to best suit your needs. Compared to the TECH I’s meager SD card or tethered USB options, the X-PRO is the clear winner. Lastly, the X-PRO’s front door opens to the side and feels a bit more secure once closed. We prefer this to the TECH I’s door, which features top hinges and requires you to lift the door up. At the end of the day, these are very similar 3D printers with just a few differences in user convenience. Printing quality remains identical between both the QIDI X-PRO and QIDI TECH I, as does the build, filament options, and dependable dual-extrusion. So is the X-PRO worth $150 more than the TECH I just for a few modern features? We think so. In our opinion, having more connectivity options and the removable build plate alone justify the price increase. The value of a dependable build plate that models stick to and come away from easily cannot be overstated. That said, if you’re on a budget and don’t think you’ll ever need Ethernet connectivity or a fancy touch screen, the TECH I is still a good choice. 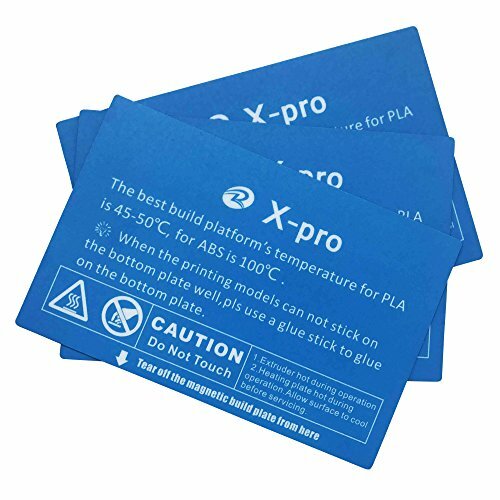 Your prints will come out just as well, though you may have a bit more trouble getting them to stick.